2019 model Honda original accessories booklet anyone? Re: 2019 model Honda original accessories booklet anyone? No and it's bloody annoying! 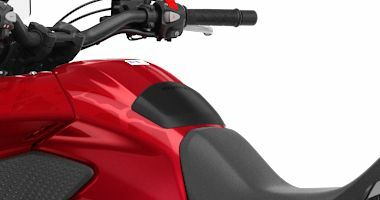 The online info on the Honda UK website is useless and now the bikes have been released its rediculous that they don't have an accessories brochure available. There may well be one but I can't find it! If you use the online configurater when looking at the 2019 model you can browse the list of accessories, that was the only way I could find them. Thanks, I ll try that. Thanks for that, found it. Probably not much there that I'd go for but good to see what there is. Centre stand not too bad at £140 - though I seem to remember it was £90 in 2013! Tank bag seems to be for an Africa Twin! If you want the gel-like tank protector like the oem 2018- CB500X, there are thousands of aftermarket ones in different sizes. Maybe the Africa Twin models fit it. If you do get the new Honda OEM tank protector. Update the thread with a review. The 2019 looks like a soft resting pad. is there a fenda extenda available for the '19 model yet?? ?